Coloring books are not only fun, they are quite healthy. A form of color therapy and meditation, coloring books can help focus the mind, ease tensions and reduce anxieties. This is especially true with The Mandala Coloring E-Book because it uses symmetry and balance in its geometric designs. A great resource for parents and teachers. Why buy The Mandala Coloring Book? Even people with Attention Deficits can focus for long periods of time; just look at video games. The Mandala Coloring book uses geometry, balance and the creative individual use of color to help focus the mind on something a little more calming and centering than video games. Just pull out the colored pencils or crayons and have at it. It is a very absorbing activity. Watching television, or playing video games has its time and place. But, here is another addition, another activity, another way to spend some time, which is healthier, more natural and creatively engaging. Like jigsaw puzzles, our Mandala Coloring Book can offer hours of wholesome fun. Immediately following purchase, you are directed to a download page. 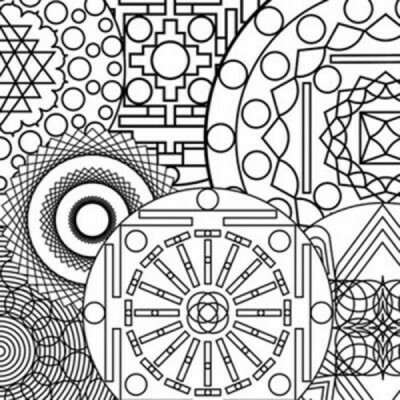 Within a few minutes, you’ll have your mandala files. You don’t have to wait for it to arrive in the mail, and you don’t have to pay for any shipping costs. Once purchased, you have immediate and unlimited access to the Mandala files and can print out as many as you like. 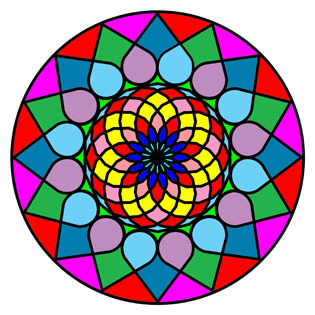 Want to color the same mandala differently? No problem, print out another. Make a mistake? No problem print out another one. Parents & Teachers are often looking for a creative, productive and healthy activity for their children or students. Here is a simple way to provide hours of healthy entertainment. All you need is a printer and colored pencils or crayons. Volume I of the Mandala Coloring Book provides 12 distinct downloadable mandalas plus a color chart outlining themes and symbolism of each color. Colors are known to have certain qualities and effects; for example, some colors are considered ‘cool’ while others are considered ‘warm’; some colors promote action while others promote calm. We are all conscious of the clothes we choose to wear largely based on color. We are visual creatures and highly impacted by color. 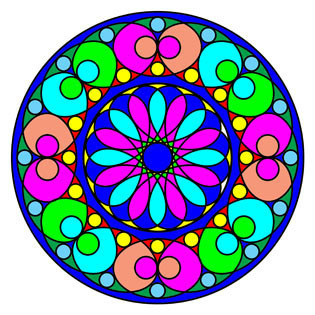 The Mandala Coloring Book is a fun way of playing with color. To purchase Volume I simply click the Paypal logo below and make your payment of $19.95. You will be taken immediately to the download page. Volume II of the Mandala Coloring Book provides 19 new, distinct mandala images which can be individually printed out on your home computer. Just as color has an impact on our mind, so too does geometry. Circles, squares, triangles and rectangles influence how we feel. Architecture is based a lot on geometry and how we feel when seeing a building or inside it has a lot to do with the shape of things. Because the Mandala Coloring Book uses both color and symmetrical geometry, it is a wonderful way to influence the mind in a positive balanced way. To order Volume II simply click the Paypal logo below and make your payment of $19.95. You will be taken immediately to the download page. NOTE: If you are not taken immediately to the download page upon payment, or if you have any difficulty with the download process, please contact Ken Fields Photography. © Ken Fields Photography. All Rights Reserved. Purchase of The Mandala Coloring Book is for unlimited personal use only. Resale or commercial use is prohibited.